(BPT) – When it comes to vehicle maintenance there are two schools of practice: the “do it for me” and the “do it yourself.” The majority fall under the first category, meaning they opt to take their vehicle in for maintenance, mostly because having the ability to lift your vehicle for an oil change or having the proper tools for a tire rotation are not common in an average garage. We all know about the basic maintenance you should be doing like getting your oil changed and checking the belts and hoses for wear. But did you know there are other aspects of your vehicle you can easily maintain and, by doing so, will extend the life of your vehicle? Spark plugs – The role of the spark plug is to ignite fuel in the cylinders. Spark plugs that aren’t working to their full capacity can reduce gas mileage or cause damage to other parts of the vehicle that can result in expensive repairs. If you choose to replace your own spark plugs instead of having the shop do it, the cost is less than $10 per spark plug. Fuel injectors – Similar to spark plugs, fuel injectors are an important component to the life of your engine and car, particularly if you make a lot of short trips or have many miles on your vehicle. Fuel injector openings are half the size of a pinhole and can become blocked from sediment that gets into your vehicle via the gasoline. Why keep your fuel injectors clean? Driving with dirty fuel injectors can lead to poor acceleration, lower power, reduced fuel economy, rough idling and high carbon monoxide emissions. 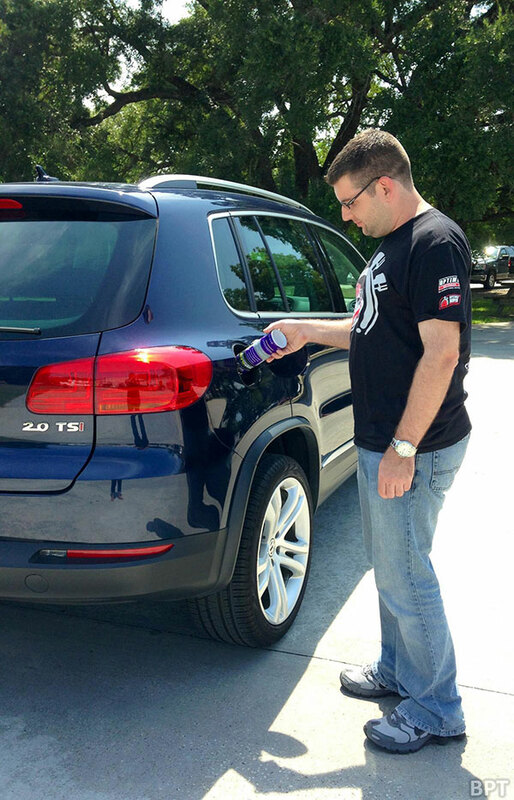 An easy way to maintain your fuel injectors is to use a fuel injector cleaner and stabilizer like Royal Purple’s Max-Clean. Use a bottle of Max-Clean by simply pouring it into your gas tank before your fill up at the gas station. Good for both gasoline and diesel vehicles, it can restore fuel economy and clean injectors. Air filter – How often you change your air filter depends on where you drive. Regular travel in rural areas will require you to change your air filter more often than you would if the majority of your driving is on the highway. Driving with a dirty air filter can cause a pressure drop that restricts airflow, reducing fuel economy, performance and emissions. A good way to determine if your air filter is dirty is to remove it and hold it up to the light. If it is caked with dirt you should replace it. Shaking or blowing it out will not clean it, but only embed the dirt further into the fibers. In addition to following a regular maintenance schedule for your vehicle, checking less thought of items can result in better fuel economy, and therefore result in money savings and longer life of your vehicle.